NetEnt have been pioneers of the online gambling industry for the last 22 years. The tag pioneers have been given after a growth in reputation for providing leading solutions to the best casinos operations in the world. 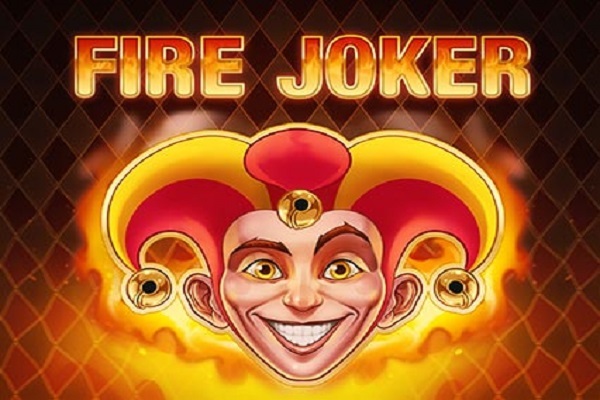 Their products and solutions include Games, which we will be looking at some of the best NetEnt slots, later on, NetEnt Live, NetEnt Engage, Pooled Jackpots, Branded Games and Back Office. We will be explaining later on each product as well. Due to the cutting-edge software and innovations that NetEnt produces, the company faced steady growth in the last 5 years and are looking forward to more. In numbers, in fact, they have around 200+ online casinos as clients, with 41.2 Billion gaming transactions since 2017. NetEnt has 1000+ Employees around offices in Sweden, Malta, Ukraine, Gibraltar, USA, and Poland. However, it wasn’t always glooming the future of NetEnt. In fact, for their 20 year anniversary, NetEnt did a video explaining the story of their struggles before success. To give you a summary of the video, NetEnt started as a startup in 1996, with just 3 employees and 1 customer, a dissatisfied one, fast forward to 2018 NetEnt is now one of the best in business and operating in a high-level standard, bar-raising stuff. NetEnt has grown a reputation of developing a serious success line of games since their inception. That takes their slogan of “Better Gaming” to another dimension. Their portfolio of games includes Dracula, The Invisible Man, Gonzo’s Quest and Starburst. Some of these games can also be played through Virtual Reality. These games fit super graphics, impressive sound and a touch of mathematics together to create the perfect mix for spectacular games. It’s important to understand that with the NetEnt games not only their clients succeed however even players with a 95-98% payout rate can be delivered. Renowned for their multi-channel approach, the games can be accessed from anywhere a player wants! Mobile, Desktop, Retail. You Name It, You Find It. Net Ent’s games will help an online casino player to ultimately steam up revenue, boost profits to another level by giving them games that are word class, accessible and award-winning. NetEnt also offers branded games such as Jumanji and Frankenstein. NetEnt partnered with these brands to give players the best user experience and sense of adventure. But what about the best NetEnt slots? We will be looking at that too below!! NetEnt Live is another innovative feature that gives clients the chance to go live with any casino game through this digital solution so that the player ultimately is delivered the best product. The innovation happens by NetEnt meeting with the customers to assess together what is the player’s favorite mobile live casino. In fact, their own live product casinos have been developed by discussing with their own players what they crave from the industry. Net Ent Live is done through the use of Chroma Key Technolgy, UX/UI design and employment of professional dealers. NetEnt Live current product range includes Live VIP Roulette, Live BlackJack and Live Common Draw Blackjack. NetEnt continuously looks for partners to tailor-made the live session for the players and look to further their rewards schemes for the players while increasing the live product range. Features of the NetEnt Live include easy to use interface, both display modes (portrait and landscape), best sound and graphics in the industry, outstanding tools to retain and acquire customers, 25 languages and different currencies and the most important, room for differentiation between live sessions. NetEnt Engage is another NetEnt technology derived to bring a whole new world to the entertainment during the game. This technology can be triggered by players, however, controlled by the client. NetEnt Engage real-time rewards – Rewards helps players to keep interest in the game, and so, if implemented by clients, the clients keep players. The possibilities to implement this are exhaustive. 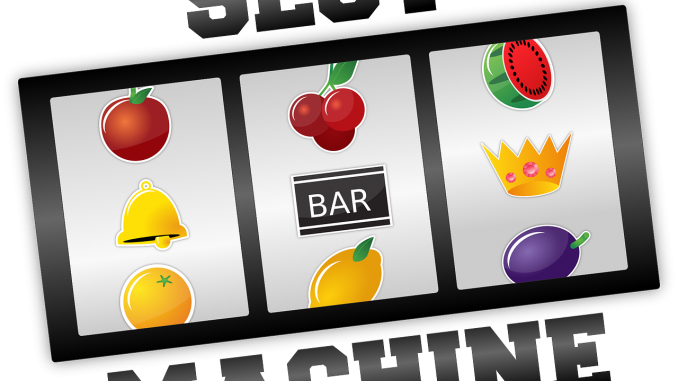 A client can decide to give monetary reward or free turns of other slots. Cross-sell between games – This feature, if implemented will lead to players to play different games and so players increase in every game, the client choose to develop with NetEnt. 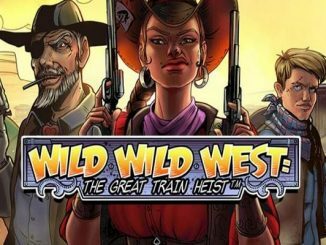 This feature lets casual players become the most loyal players in the online casino client. NetEnt Engage Free Rounds – This capability will let clients decide how to maneuver free rounds to players. A client can insert a widget, or timelines or even surveys completion. There is room for imagination! NetEnt Engage 360 – 360 is the complete feature for clients to enhance player’s experience with speed. This feature offers autoplay, in-play quick deposit and another important coin setting which the player may find useful. NetEnt is continuously looking to improve NetEnt Engage as it’s not in the final stages, and they believe that this is the start of what could be an immense product. 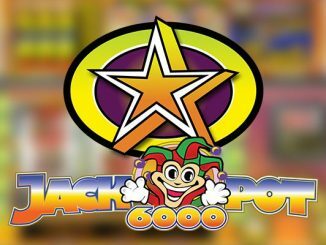 Pooled Jackpots are one of the ways to reach to players and position the casino in their mind as the place to play. NetEnt offers pooled jackpot games, which are renowned to be few of the most exciting game in the world. 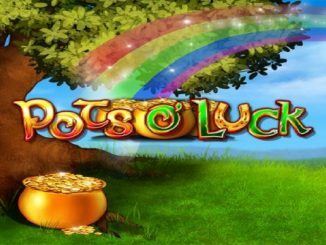 NetEnt’s pooled jackpots are record-breaking, with titles of Mega Fortune, Hall of Gods, Arabian Nights and Mega Fortune Dreams. If you don’t believe it, the Guinness World Records awarded the record-breaking payout to net ent for online slot machine of 17.86 million euros. And the best part is that the client doesn’t lose any money as the funds are built up by players collection when betting in the pooled jackpot. NetEnt offers the complete package to online casinos to optimize the business and profitability. The Back office will help online casinos to review, investigate, track and report player activity on the platform itself. With this program, online casinos can also offer bonuses and promotions during Birthdays or registration anniversary. NetEnt offer many slots solutions to their clients, they offer both un-branded slots and branded slots. We will be looking at the best NetEnt Slots till date. Beetle Frenzy is a classic slot, however, with a touch of modernity. This slot offers three reels and three-bet lines instead of the classical five reels, with five bet lines. The design is green with biological graphics such as beetles, bugs and flowers. With the minimum bet allowed being 10c and a maximum bet of €25. The slot is the most classical of the range that NetEnt offers. This slot use 3 reels. The difference between Gold Rush and Beetle Frenzy is that it contains just 1 bet line which makes it harder to win…or easier. It depends on how you perceive it. The design of the slot obviously has a touch of gold with the graphics being what you usually find in a slot such as cherry and number 7. In Gold Rush, you have 3 options of betting, single, double or triple coins. They cost, 20c, 40c, and 60c respectively. The Old but Gold. Similar to Gold Rush however with 3 reels and 3 bet lines. The design of the slot is similar to a traditional jackpot machine in Vegas! With six different levels of betting with the cheapest being 10c and the maximum is €2. Remember, in Jackpot 6000, everything has to match all 9 options which make it the hardest slot to win! The bonus machine. Similar like Jackpot 6000 as reels and bet lines go. However, the winnings can be multiplied to x3000, well obviously, if you are lucky! With a design similar to jackpot 6000, however, with more a modern outlook. The minimum bet is 10c with the highest being at 12.80 euro. The more expensive the bet, the more are the multipliers. The Modern One, similar to the beetle frenzy layout. It has 3 reels with 3 bet lines and lucky 8 line winnings can be multiplied up to x2000. As said, the design is similar to that of Beetle Frenzy, however, the theme is different as it’s about magic and love, Go Figure, Aye? Minimum bet is 10c with the maximum bet being €12.80. The higher the bet, the higher the multiplier. Jumanji slot was released in June 2018 and as the title says, it revolves around the 1995 movie, Jumanji. Which it doesn’t just make this slot one of the best NetEnt slots but also the most popular. The slot has 5 reels with different geometric style bet spins. What makes it popular is not just the brand but also the bonus games the slot offers. If a sequence of spins is met than bonus games are triggered where the winnings increase for the player!!! The minimum bet is 10c with the maximum winnings being €2800. Monsoon Wild – triggered once the spin turn 1 to 5 reels to wild symbols. Monkey Mayhem – triggered once the spin mixes monkeys in a winning combination. Wild Stampede – triggered randomly once wild symbols are spread around the reels. Sticky Vines – triggered once a spin spreads a winning combination making a re-spin available to win more! If you are not convinced, you can try it out! Just like Jumanji, Vikings is a branded slot after getting the license from the HBO series Vikings. The slot comes with 7 bet lines and 7 reels, offering the players a better chance to win. The slot contains Vikings themed symbols! Vikings grant the player 7 free spins if 3 symbols are scattered together on 3,4 and 5. Vikings offer players a mix of thrill, entertainment, and a mix of thrilling winnings to the players. The minimum bet is €0.20 while the maximum bet is €200. Just like Jumanji, NetEnt offers you to try Vikings out! With our review of NetEnt, its products, and best NetEnt slots, you should have a bright idea of the bright star NetEnt is and will continue to grow. If you are a casino operation, then NetEnt offers one of the best solutions around the globe, and if you are a player, casino operations that use NetEnt solutions are one of the best casino operations around. The best NetEnt slots are available to play on many online casinos, however, the best online casino for these slots is Casumo! Casumo lets you play both on desktop and mobile while is licensed by the Malta Gaming Authority (MGA) and the UK Gambling Commission. Good luck in your conquest of winning the slot lottery!